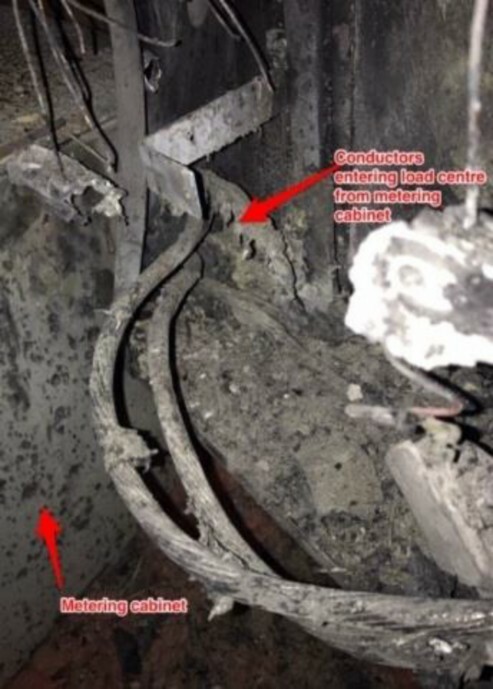 A qualified individual working for a licensed electrical contractor was entering an armoured cable into an energized electrical panel when arcing and sparking occurred, causing an electrical fire in the load centre. 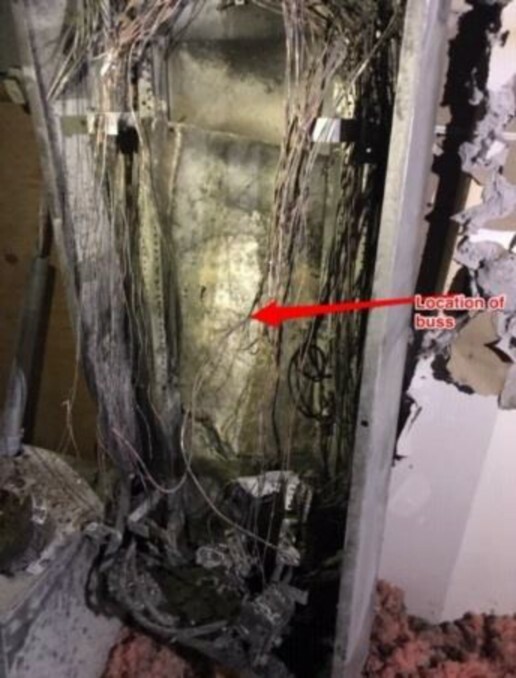 The fire damaged the load centre and the wall and ceiling adjacent to the panel. The system is a 120/208 Volt 3 Phase overhead service. The main disconnect is fused at 600 Amps. From a 600 Amp splitter parallel raceways enter in to a 3 Phase 400 Amp disconnect. This disconnect has 300 Amp fuses installed. Conductors from the disconnect enter a metering cabinet, conductors from the metering cabinet then terminate in the 3 Phase distribution load centre. The distribution load centre provides overcurrent protection for the branch circuits that are terminated in that panel. 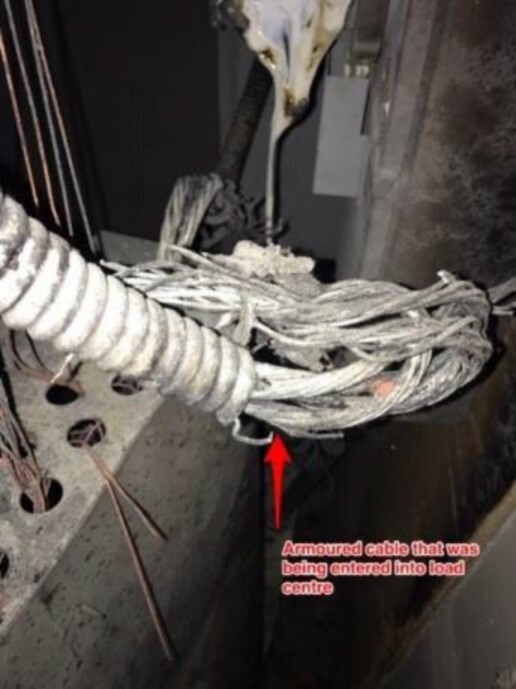 The energized panel did not have the cover installed at the time the incident occurred. One of the protective devices, a 300 Amp fuse in the disconnect had opened due to excessive current. Damage description: 3 Phase 400 Amp load centre buss and associated over current devices disintegrated. Fire damage in and around electrical distribution panel. Smoke damage in electrical room. Meter cabinet location and associated conductors entering load centre. Armoured cable that was being entered into load centre.